Dhooleka S. Raj explores the complexities of ethnic minority cultural change in this incisive examination of first- and second-generation middle-class South Asian families living in London. Challenging prevalent understandings of ethnicity that equate community, culture, and identity, Raj considers how transnational ethnic minorities are circumscribed by nostalgia for culture. Where Are You From? argues that the nostalgia for culture obscures the complexities of change in migrant minority lives and limits the ways the politics of diversity can be imagined by the nation. 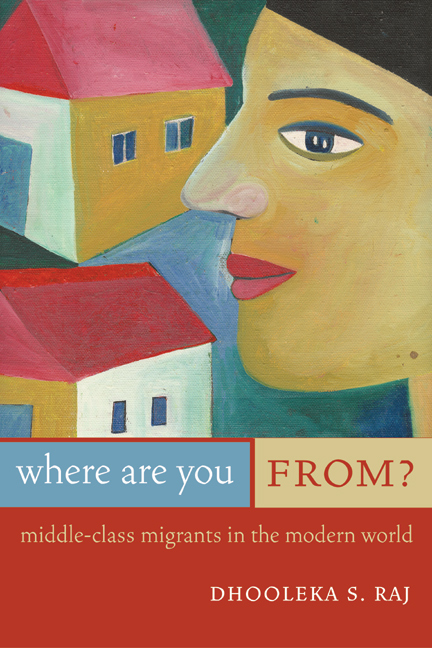 Based on ethnographic research with Indian migrants and their children, this book examines how categories of identity, culture, community, and nation are negotiated and often equated. Dhooleka S. Raj is a Visiting Scholar in Women's Studies at Harvard University. She was formerly a Fellow at the Radcliffe Institute for Advanced Study at Harvard University and Smuts-Hinduja Fellow at the Center for South Asian Studies, University of Cambridge.